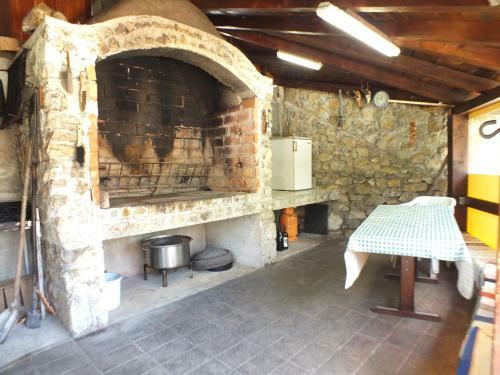 Situated in Slunj, Apartment Bastaja presents free bicycles and a grill as well as a south-facing back yard with mountain views. The owners have a private vineyard and you can enjoy their wine produced on site. This self-catering accommodation is contemporary in design and includes gratis wireless internet. 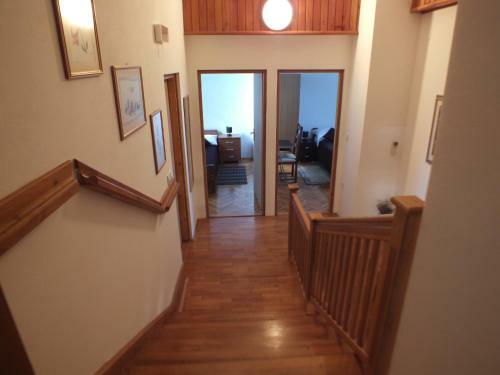 This duplex apartment consists of 2 bedrooms, a toilet and living room with a TV and air conditioning. A microwave-oven, refrigerator and amenities for making hot drinks are provided in the kitchenette. Apartment Pavlešić ~0,3 km, Slunj price per day from € 70 Situated in Slunj, Apartment Pavlešić presents self-catering accommodation with gratis wireless internet. There is a seating area, a dining area and a kitchen as well as a private toilet with free toiletries and a hair dryer. Towels and bed linen are offered in this apartment. 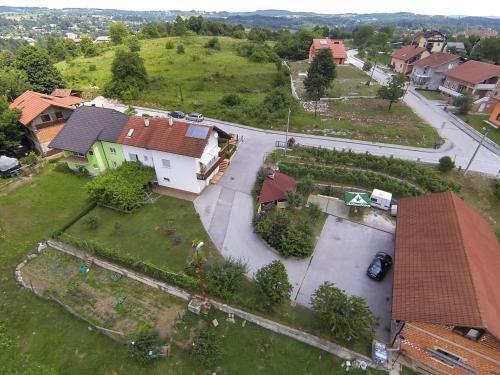 Apartment Bastaja ~0.1 km, Slunj price per day from € 60 Situated in Slunj, Apartment Bastaja presents free bicycles and a grill as well as a south-facing back yard with mountain views. The owners have a private vineyard and you can enjoy their wine produced on site. This self-catering accommodation is contemporary in design and includes gratis wireless internet. 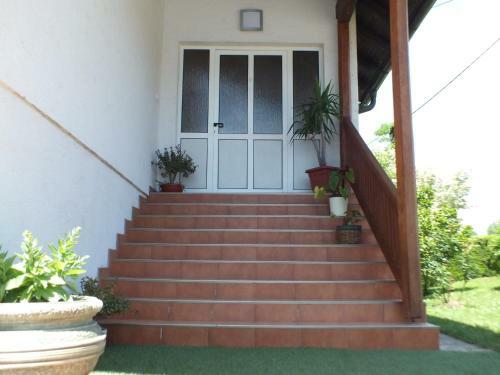 This duplex apartment consists of 2 bedrooms, a toilet and living room with a TV and air conditioning. A microwave-oven, refrigerator and amenities for making hot drinks are provided in the kitchenette. 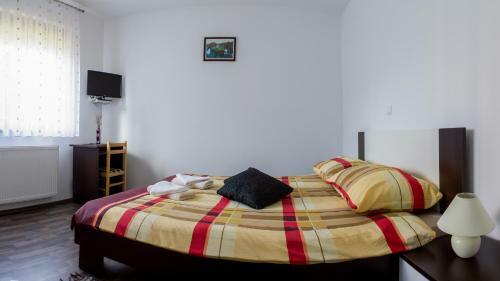 Apartment Luketić ~0,1 km, Slunj price per day from € 42 Apartment Luketić is positioned in the city of Slunj and presents a self-catered accommodation with a back yard with grill amenities and gratis wireless internet available in all areas. Apartment Luketić comes with an outdoors terrace providing views, a lcd tv with satellite channels, a well-fitted kitchen with a dining area, sofa bed, a seating area and a private toilet with a shower. The property also offers free car parking. Guest house Buk ~0,7 km, Slunj price per day from € 45 Providing rooms and apartments, Bed and breakfast Buk is set approximately 1 km from the centre of Slunj. It presents gratis wireless internet throughout and a back yard fitted with grill amenities. Each accommodation here comes with a satellite television, a seating area and an electric kettle. The private toilet is complete with free toiletries and towels. Buk Guest House is just a short walk away from the beautiful watermill settlement of Rastoke offering a view of the waterfalls of the Slunjčica River. Rakovica ( ~ 13.3 km ): 28+ apartments. Grabovac ( ~ 17 km ): 25+ apartments, 2+ villas, 12+ hotels. Smoljanac ( ~ 20.3 km ): 43+ apartments. Rastovaca ( ~ 22.2 km ): 33+ accommodation units. Plitvicka Jezera ( ~ 26.4 km ): 20+ apartments. Otocac ( ~ 38.5 km ): 2+ hotels.